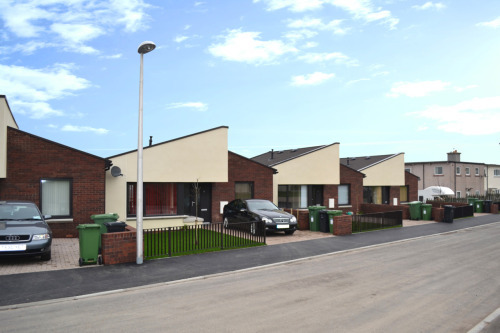 Collective Architecture delivers for Northern England. 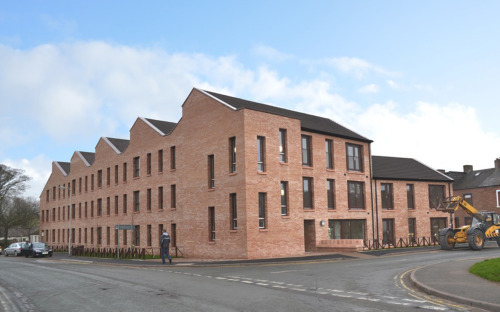 Collective Architecture have taken their first bold steps into the Northern English new build social housing market with the completion of the project at Bowflatts, Great Clifton in November last year and the flatted development at Ehen Court, Egremont complete March of this year. 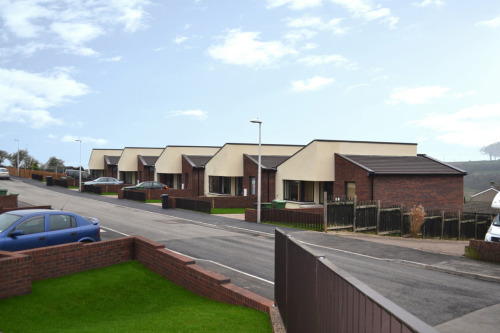 The new build Housing and Wheelchair Accessible Bungalows at Bowflatts, Great Clifton provide an improved standard of housing to an area suffering from access problems and limited housing mix. 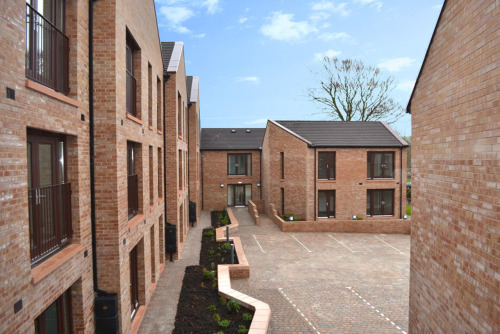 Constructed on a severe sloping site, these units have all been designed to have level access and have been positioned to create welcoming private front entrance. The roof forms and stepped building lines accentuate the site topology providing a very unique street frontage. The distinctive character of the completed development contrast and compliment the surrounding existing house types and help provide a vibrant new mix of dwellings.